Mastercard made its ties to Riot Games official, unveiling a multi-year partnership with the publisher to become the first global sponsor for League of Legends esports. 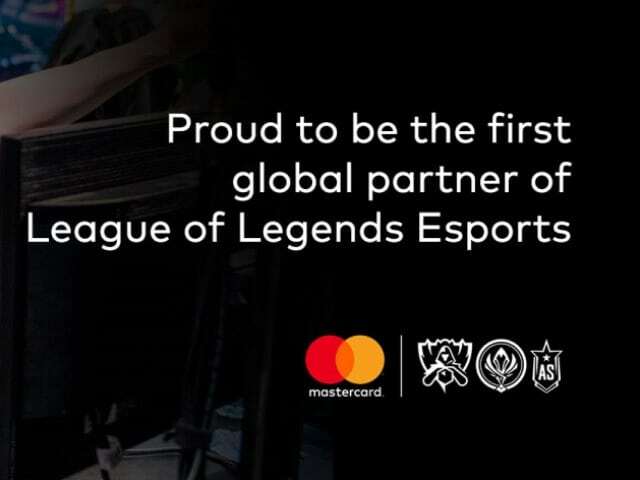 As the exclusive global payment services partner for League of Legends global esports events, Mastercard will focus on three annual global tournaments – the Mid-Season Invitational, the All-Star Event, and the World Championship. Mastercard will curate Priceless experiences and serve up across onsite event activations, priceless.com and through other various promotions. Mastercard cardholders in the US and Canada (excluding Quebec) will have a chance to win when they use and save their Mastercard information within the League of Legends gaming platform. Similar promotions and additional ticketing programs will continue to roll out globally throughout the partnership. In addition, Mastercard will work with its banking partners to offer unique League of Legends co-branded products in select markets, starting in 2019.